Johnsonville School agriculture building/cabin, completed in 1934. 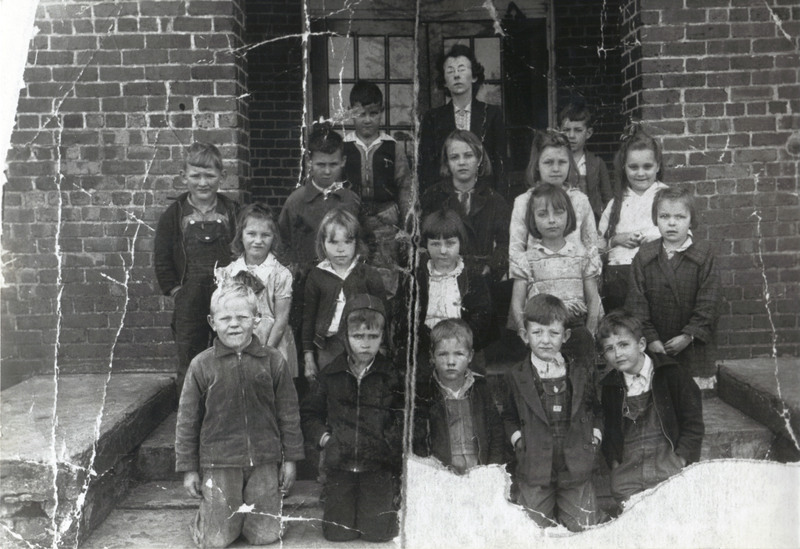 The earliest record of a public school in the Johnsonville area shows a one-room school in the Prospect area of what was then Williamsburg County. The building was constructed of logs and was owned by the county. The attendance register of the time begins with the year 1881 and lists the names of 49 white children and youths. The teacher was Martin Eaddy, who sometimes served as a Methodist minister. Attendance was irregular and little more than the basic reading, writing, and arithmetic received any emphasis. A few pupils advanced as far as geography and history. In 1892, A. E. Lawrence succeeded Eaddy as teacher. 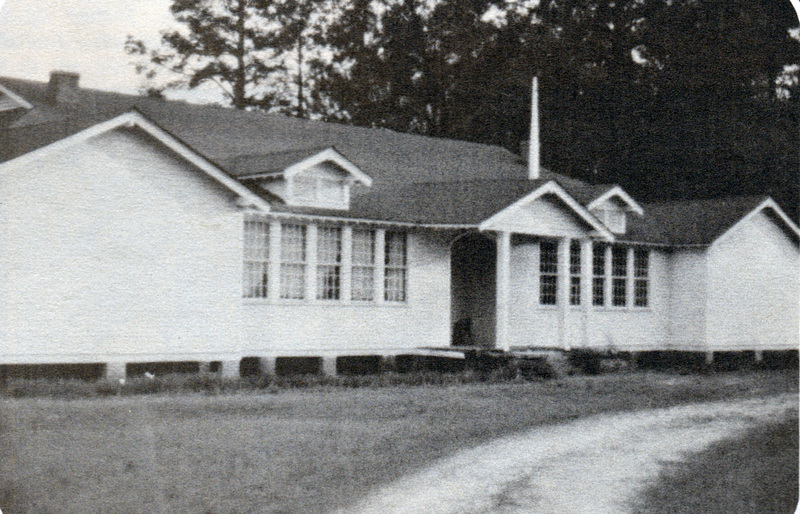 In the early 1900s, schools were held in the Old Lake Chapel church on Deerfield Road, at Old Johnsonville, and in Possum Fork. In what is now Johnsonville, the Grier Store (located at the corner of Highway 41 and Broadway where the Poston home now stands) served as a school for approximately 18 students. Teachers in the schools made $15-20 a month. When William Cooper became Superintendent for Williamsburg County, he organized a graded school at Johnsonville and set out to erect a modern school building. Sylvester Briley "S.B." Poston, regarded as the founder of the modern city of Johnsonville, divided a pasture into lots and held a land sale in 1912. He donated the land for the school and the building was contracted. In 1916, school was conducted on Pine Street in a wooden house owned by J.M. Eaddy. Just as the new school was completed, this house was destroyed by fire. 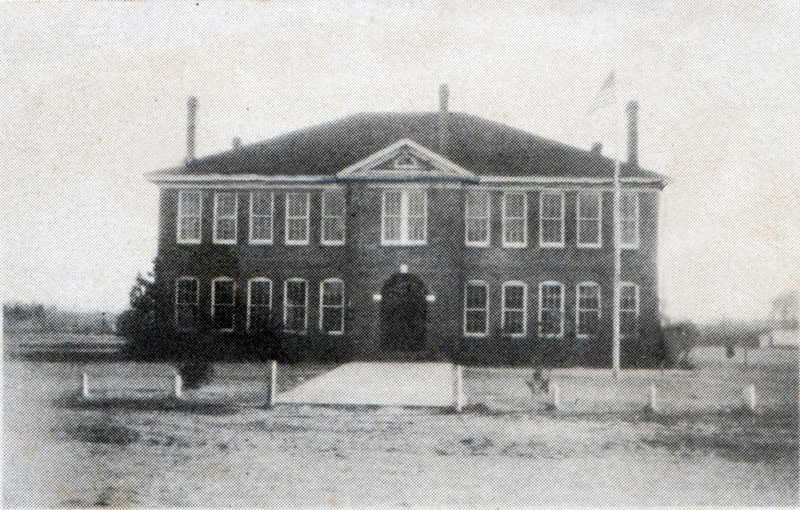 By good fortune, the school was able to immediately begin session in the new school building on Marion Street. The high school and an auditorium, which was the scene of assemblies until it was torn down in 1963, were both completed in 1916. The main building consisted of 12 rooms, each holding one of the 11 grades. Class size varied, but there were never more than 25 pupils in one room. Total enrollment for grades 1-11 was around 250. The building had no electric lights, no telephones, no running water, and no restrooms. There were two out-houses some distance from the school. Superintendents during the early years of development were L. E. Pope, who left to join the ministry, and E. S. Stoddard. 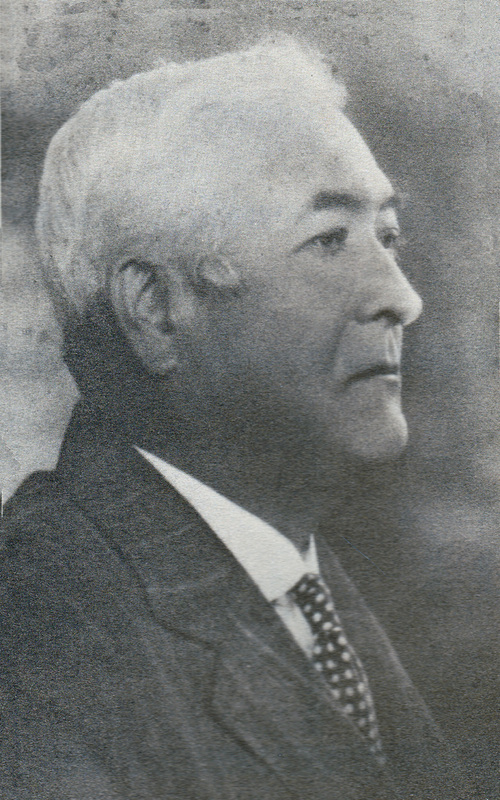 In 1932 Willim R. Bouknight became superintendent. It was in the midst of the depression when jobs and money were scarce. Teachers were paid $60 a month in state notes, which required teachers to take a discount in order to get them cashed. There was no county supplement. The superintendent received $1350 a year. As more money became available, teacher salaries were raised to $66 a month or $594 a school term. In 1936 the superintendent received $1800. Although the salary was low, there was no scarcity of teachers. To get a position, a teacher had to be able to fill any place in the activities of the school. He had to be able to coach basketball, play piano, work with the Glee Club and other groups, and coach dramatics. He was obligated to actively participate in church and community affairs. yet his personal activities were restricted. The young female teachers could only date or receive male company on weekends. In 1932 the Johnsonville School System employed six elementary teachers and five high school teachers, one of which was the superintendent. In 1935, two teachers, two teachers - one elementary and one high school agricultural - were added. O. W. Lloyd, the first agricultural teacher, was concerned because there was no building available for his class. he and the students surveyed the community and obtained enough pine logs to build the small log cabin which stood on the Johnsonville School campus. Athletics were a part of the curriculum, but there were no paid coaches and no gymnasium. The basketball teams, which were generally good, used an old tobacco warehouse for their games. Bouknight left the school after the 1936 term to join the Methodist ministry. H. M. Floyd was hired the following summer. He served as teacher, principal, and superintendent at first, but in the 1960s acted solely as superintendent. Upon his retirement in 1973, Edward Eaddy accepted the position as head of District Five Schools. 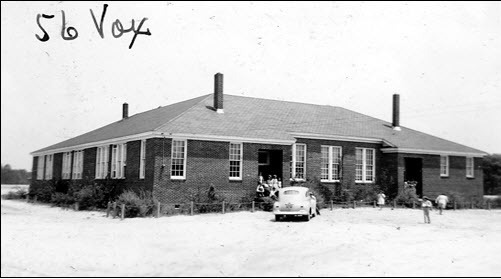 Prior to 1951 the schools of Florence County were community concerns, financed and operated by local school boards. Standards varied widely or were entirely absent. There was no uniformity in physical facilities, in the number of grades taught in the individual schools, or in teacher qualifications. The Florence County Board of Education consolidated the county into four districts in 1951. District No. 2 included the Pamplico and Johnsonville Districts. Also included were Hannah School District 18, Mannheim and Pee Dee, Prospect District 54, Johnsonville District 55, and Vox District 56. White enrollment was 3,776 and black enrollment was 4,179. The reorganization of the school districts was made in accordance with Section 7 of Article 3 of the General Appropriations act of 1951 and followed the criteria for school district reorganization set up by the State Educational Finance Commission. Any new high school established was to have a minimum potential enrollment of 250 in grades 9-12 and each school district was to provide high school facilities within the district for both races. Seven years later in May 1959, Florence District 5 was created. The Florence County Board of Education was authorized to transfer areas formerly known as Johnsonville District 55, Trinity 35, Prospect 54, and Vox 56 to the new district. The last consolidation within the area came in 1969 when the Board of Trustees voted to end racial segregation by combining the all-black Stuckey School, located two miles west of the city limits, with the Johnsonville School. Racial integration was accomplished peacefully in the fall of that year. Such action was a voluntary move on the part of the district, and it was the first such in the area; locally, integration had largely been in response to court order. 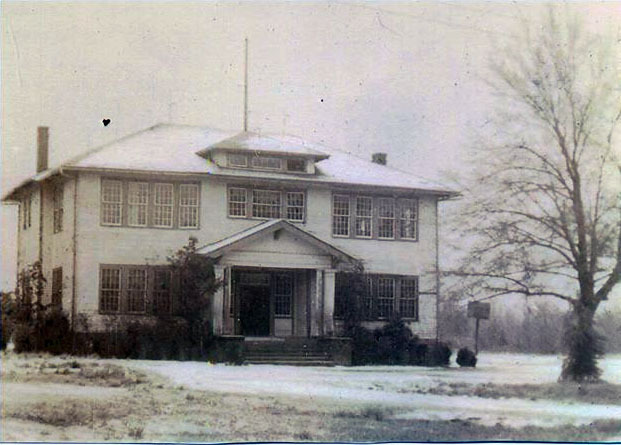 The Stuckey School later housed the Johnsonville Middle School, comprised of grades 5-8. The primary grades K-4 are located in the elementary school constructed in 1954 south of the original Johnsonville school building. A wing containing 4 classrooms and a library was added in 1956. 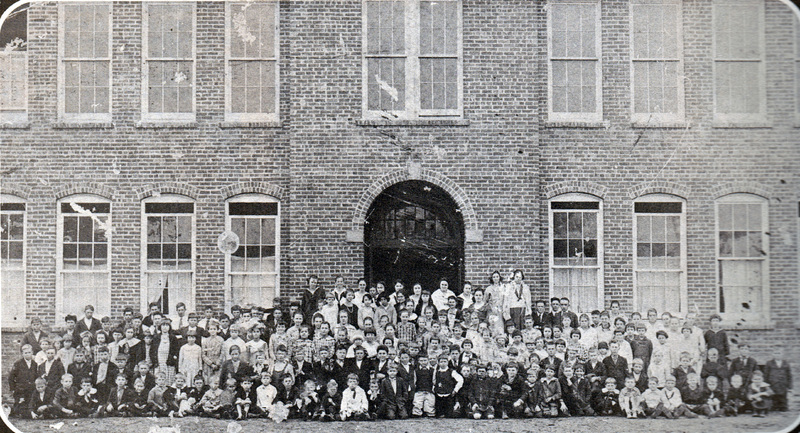 Grades 9-12 occupied the original Johnsonville School building constructed in 1916. Johnsonville High School moved to its current location on Highway 41 in 1974. The old school became the Florence School District 5 Offices, which moved from a location acquired in 1969 across from the school. Johnsonville Middle School moved to its current location in the late 1990s. As of this writing, Johnsonville High School is known to have had 12 men serve as principal as of 1909: R.S. Major, T. S. Smith, Rembert Jones, H. M. Floyd, Kenneth Creel, Charles DuBose, Thomas Lohr, Charles Graham, Sam Harrelson, James Berry, Stevie Phillips, and Samuel Tuten. Click here for a full account of the history of the Stuckey School during Segregation.